We’ve all done it, lost something. It’s not surprising that a college student may lose their keys, book, wallet, phone, etc. They have so many things occupying their minds and are learning to “adult” for the first time. As parents, the frustration is usually about the security of things (i.e. losing a debit card). Things can be found or replaced, but with so many cases of identity theft, your student is just as vulnerable. And with students being far from home, fixing the problem can be challenging. It was not a pleasant experience this summer to get a phone call from my daughter, who had just started her first term at UNF, telling me she could not find her backpack with her laptop in it. Needless to say, I was far from pleased. I did, however, stay calm and remember that I had purchased insurance for her through National Student Services Inc (NSSI). However, before calling them I told her to retrace her steps and go to lost and found. She started in her dorm room, friend’s room, friend’s car, and classroom. She then went to the cafeteria and searched tirelessly. A very nice and helpful cashier also instructed her to go to lost and found. Fortunately for her, the backpack and laptop were there. Since that time we purchased The Tile. The Tile is a small lost and found device that you attach to the things you don’t want to lose, be it a computer, bike, keys, luggage, wallets- even pets (attach to their collar). Whether you have a student studying abroad or on campus, perhaps a gift for their birthday or holiday, The Tile will alleviate the frustration, anger, and tears should they lose something valuable. 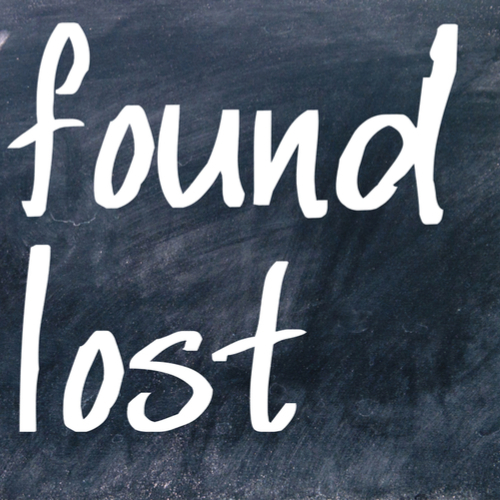 In the event that your student needs to go to lost and found, UNF’s Lost & Found is in the Campus Police Department building, to the left of Lot 14. The Lost and Found department is immediately on the right when you walk in the building. It is open Monday through Thursday from 7:30 a.m. to 12:00 p.m. and 1:00 p.m. to 4:00 p.m., and Friday from 7:30 a.m. to 3:00 p.m. Or you can call the UPD’s record unit at (904) 620-2367.